Sometimes, hopefully like most people out there, I will every once in a while fall off the wagon. These little tumbles from my healthy meals and workout regiment can be as tiny as a string of meals or it can be a no holds bar like during the holidays. Whether it is a small tumble or a full on massacre of my healthy living lifestyle I do my best to approach the situation as a learning experience and then I get right back to cleaning myself back up. One of my favorite ways to get my body back on track (it also helps my mind) is the introduction of a nice healthy serving of lemon. I just peel those bad boys up and chow down. Oh goodness no I definitely don’t do that, that would be so intense. Instead of hunkering down and punishing myself by forcing a lemon down my throat I simply start adding it to my meals and water. Lemon is a pretty amazing thing, we often use it with our fish, in our dressings and beverages but besides it tasting good what is it good for? Some of these items may surprise you but hopefully some of them will seem like old news to you. Either way here is a quick run down of why lemons are my go to when I feel like my system needs a little help detoxing. 1. Vitamin C my friends. Sure they aren’t as sink your teeth in delicious as an orange but just as good a source of the cold fighting vitamin. Vitamin C is better for more than just fending off the common cold, it is also essential to healthy skin growth. 2. It has alkaline nature helps to kill some bacterias which will help you balance your system out. You can do this topically or drinking a cup of warm lemon water in the morning can help too. 3. It’s oils and scent are said to be calming. Lemon scent is believed to help relieve anxiety and stress, while also helping to promote concentration. 4. 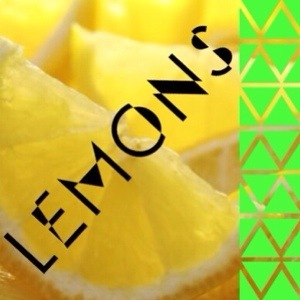 Lemons have antibacterial and antiviral properties. Mixing a little water with some fresh lemon juice is a great natural way of trying to get rid of pesky canker sores…however this will sting like the dickens. 5. FIBER! All of us humans are supposed to get about 20-38 grams of fiber daily and even with it being in most of the foods we eat most of us end up falling a little short of our daily target. Although not the most fibrous fruit out there a medium sized fresh lemon would contain approximately 2.4grams of dietary fiber. Number 2 is really what I am going for when I am tossing it into my water or starting my morning off with a warm cup of lemon water. I find it really helps to jump start things and get my insides back to normal a bit quicker. What is your go to after too many treats to get you back on track with your goals and your healthy lifestyle? This entry was posted in General and tagged acid, clean eating, cleansing, health, lemon by healingginger. Bookmark the permalink.